This entry was posted in Book Lists, Community, Read This!, Teen Powered and tagged astrology, Book Lists, Greenwood, horoscopes, Teen Advisory Group, teen book suggestions, written by teens on November 5, 2014 by Teen Blogger. Annemarie is a ten-year-old Danish girl who loves her family and likes to run footraces with the other children at lunchtime. Life has gone on more or less as usual since the German soldiers have taken over control of her city, until one day they come knocking at her door to take her best friend Ellen away. Though this is a simple, easy-level read, it’s a great story about what it really means to be brave. This book is narrated by an old dog named Enzo who has decided it is his time to die and is preparing to say goodbye to his master and head on to the next life – in which, he suspects, he will be reincarnated as a human being. Enzo tells a beautiful story of the love, loyalty, and history that lies between him and his master. You will learn more about being human from this dog than you might think. This entry was posted in Book Lists, Community, Read This!, Teen Powered and tagged astrology, Book Lists, Greenwood, horoscopes, Teen Advisory Group, Teen Book Reviews, teen book suggestions on September 30, 2014 by Teen Blogger. Sin City 2 – sexist potrayal of women, but cool visual stylings. I recently watched Sin City 2 and the animation and style of it was very cool and entertaining. The action scenes were brutal yet well executed. However, the sexism and portrayal of women, of course, was not missed (nor was it surprising considering this was a Sin City adaptation). However it was still disappointing having to see women being identified as simply sexually appealing characters for the entertainment of the targeted audience. Each character’s different plots intertwined nicely and no character showed up without a reason. The back stories all began with their separate (sometimes shared) antagonist. The acting was really great as well, showing quite raw emotion. This movie impressed me despite the somewhat incredibly cheesy moments and cliché tag lines, and I do recommend it but please be cautious of the more intense moments in the film. This entry was posted in Movies, Opinions, Teen Powered, Watch This! and tagged books to movies, bysplteens, Movies, teen advisers, Teen Advisory Group, teen movie review, written by teens on September 26, 2014 by Teen Blogger. Greenwood TAB has your Book Horoscopes! September (Premier) Edition. This is the perfect read for a rebellious spirit like you! Funny, action-packed, and somewhat frightening, this book takes place in a high school that has been cut off from the outside world due to the spread of a fatal virus that lies dormant in teenagers. The kids trapped in the school must fight to stay alive until they are allowed to “graduate” by the machine standing guard at the door. The first book of a series. If you liked The Mortal Instruments series, then you should also read this book, the first of The Infernal Devices, which has the same concept but is set in 19th century England. When Tessa Gray’s brother is kidnapped by demons, her paths cross with the Shadowhunters of London, and she learns that she is a Downworlder with an unusual power. Also, this entire book is steampunk, which is fun. Your curiosity might get the best of you this month. The fresh school year is a great time to let it take you into uncharted territory! Join the Stickman as he embarks on a journey out of his comfort zone on an epic and hilarious quest through Greek mythology. T his graphic novel is also the first book in a series. This entry was posted in Book Lists, Community, Read This!, Teen Powered and tagged Africa, astrology, autobiography, Book Lists, Dating, death, dragons, England, family, fantasy, graphic novels, Greenwood, high school, horoscopes, LGBTQ, love, magic, Oregon, prejudice, secrets, spies, Teen Advisory Group, Teen Book Reviews, teen book suggestions, Washington, zodiac signs on September 2, 2014 by Teen Blogger. The Greenwood Library is looking for members to join the Teen Adviser Board during the school year! The TAB meets once a month for an hour and half at the Greenwood Library and is a great way to earn volunteer hours while doing a variety of awesome things. If you do join TAB you are expected to do something every month and will earn 3+ hours of service depending on how involved you get. I’ve really enjoyed getting to know kids on the TAB as well as the kids that come to the events. If you’re artistic, enjoy books of all kinds and even maybe some basic science, this is the opportunity for you! This entry was posted in Community, Libraries, Library Links, Read This!, Teen Powered and tagged Greenwood, Libraries, Seattle, teen advisers, Teen Advisory Group, teen volunteers, volunteering on August 29, 2014 by Teen Blogger. What do you do for fun? Do you like playing video games or board games? Do you like listening to music or surfing the Internet? Do you like talking and texting, laughing out loud? Do you like snacking and chatting with friends? If you answered “yes,” at least once, then the Teen Social Hour maybe just the place for you. Come by yourself, bring a friend, or join your friends for video games, board games, music, computers, food, and fun. This are Teen Space events not to miss! From 3 – 5 pm @ High Point: Game On + Hour of Code. Get some gaming in on the Wii or Kinect, play board games, eat snacks and try your hand at Hour of Code’s drag and drop programming. 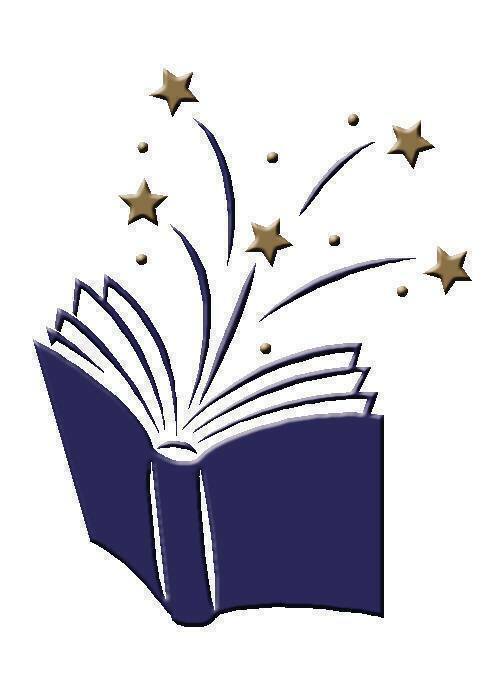 From 6:30 – 7:30 pm @ Northgate: Bow-Wows and Books. Practice reading with a new friend who is warm, friendly, and a perfect listener! Certified therapy dogs and their handlers join young readers to read one-on-one in a relaxing and nonjudgmental environment. Teen volunteer opportunity!! From 1 – 3 pm @ West Seattle: Teen Re-Creation Drop In. Need some space and support for your digital projects this summer? Drop in for help, ideas and snacks! From 4 – 5:30 pm @ High Point: Drop In Chess. Come play a game of chess! Children and teens are invited to drop by for fun and casual games of chess. All skill levels are welcome. Chess sets and guidance by an adult chess coach will be available. From 5 – 7 pm @ Magnolia: Hands-On Science Lab. Dive into science and learn something new! We’ll do a variety of fun experiments to find out how things work and why. From 2 – 3:30 pm @ South Park: Calligraphy: The Art of Lettering. 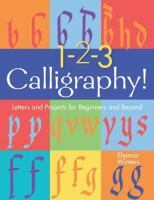 Learn the history of different alphabets from local teaching artist Amaranta Sandys, then practice basic calligraphy techniques with a variety of writing tools. For tweens and teens. From 3 – 5 pm @ Green Lake: Teen Adviser Meeting. As part of our Teen Adviser Group, students entering high school can earn service learning credit at The Seattle Public Library while working on special projects as a group. Applications are required. From 3 – 4:30 pm @ Northeast: Digital Frabication Showcase. 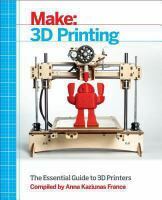 Excited about 3-D printing and laser printing? Discover fabrication techniques & learn about design modeling with experimental digital artist Meghan Trainor. Registration is required. This entry was posted in Art, DIY, Events, Free Stuff, Gaming, Seattle, Summer Reading Program and tagged Art, digital lives, events, Gaming, Northgate, programs, science, Seattle, Summer fun, Summer Reading Program, teen advisers, Teen Advisory Group, teen volunteers on July 28, 2014 by Rae.